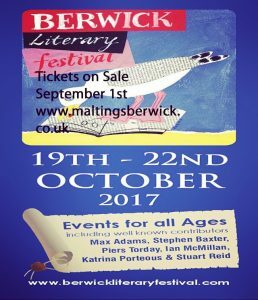 At the last count there are 28 events on the programme at Berwick Literary Festival from Thursday 19 October to Sunday 22 October… and that’s just for the adults. There are seven sessions for children/students and a By Invitation Only competition awards event. Events on everything from playwriting to poetry to prose to politics. 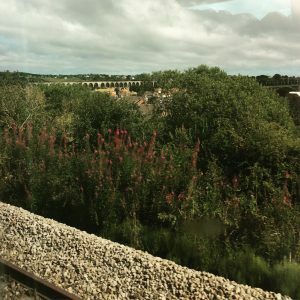 Choosing which events to attend as a guest blogger, has been difficult for me. In the end I chose nine different talks… a little bit, of most topics. Some topics I have experience of writing, such as plays and poetry and some I have none, such as biographies and children’s fiction. I’m getting the train from Newcastle to Berwick on the Friday morning… it takes all of 50 minutes. 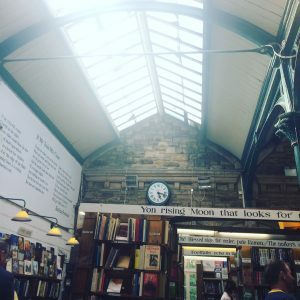 I’ll head straight to Mary Manley’s talk, at 12 noon in the Holy Trinity Parish Centre, about her second-hand bookshop in Alnwick, Barter Books. Then a seven-minute bus journey across the River Tweed to St Paul’s in Spittal, to hear Torben Betts’ talk at 2pm, about Writing for Stage and Screen. Torben is a local playwright who wrote the stage adaptation of Get Carter, amongst other plays and film. The day finishes off at 7pm in the Guildhall listening to Tony Husband and Ian McMillan give a Cartoon History of Here. It promises to be an evening of comedy, cartoonery and improv. Sounds right up my street. Saturday starts at 10am for me in the parish centre again, this time listening to Northumbrian authors Stephanie Butland and Caroline Roberts in conversation with Vic Watson. They will be discussing How to Get Published – this could be handy information for me. I then head to the Guildhall at 4pm to hear Dave Randall being interviewed by TV journalist Gerry Foley. Dave, an ex-Faithless band member, will be talking about The Political Power of Music. And back to the Guildhall in the evening at 6pm to attend Max Adams’ event…Walking with Giants. Sounds an intriguing take on history . Hopefully throughout the day I’ll pop by the festival’s hub, the Corner House Café, or even The Brown Bear pub, and chat to other bloggers or festival-goers. 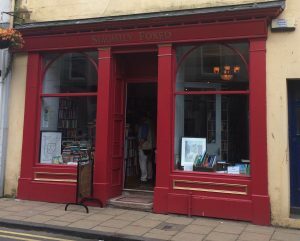 Or take a walk along to one of the festival’s patrons, Slightly Foxed, Berwick’s own second-hand bookshop. 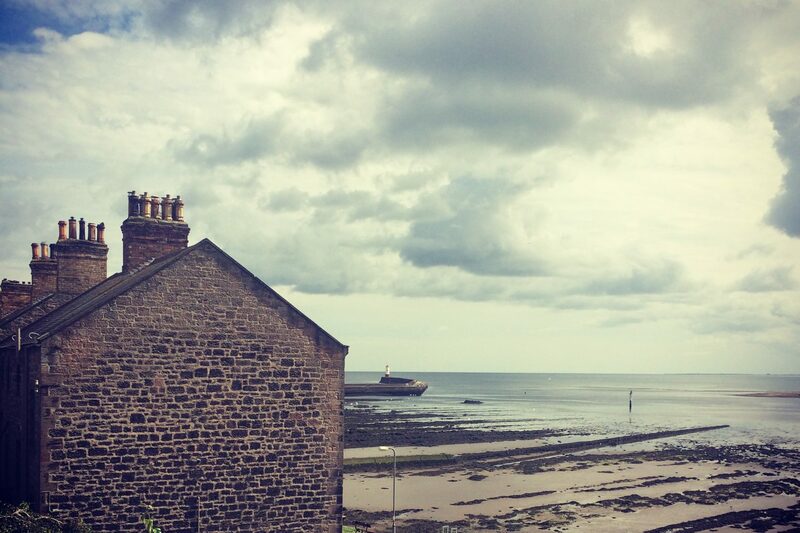 I’ll be staying in Berwick another night, so time to relax and get a blog written about my day. Sunday kicks off at 12noon in the Guildhall with Colin Young, a Durham-based football writer, talking about his authorised biography of northern footballer Jack Charlton – I tend to forget wor Jackie was part of the 1966 England team that won the World Cup; I never forget he is from Ashington. At 2pm I’m off to the parish centre to hear Piers Torday. He will be telling us about his latest children’s book There May Be A Castle and how his famous dad inspired him to write. Finally, at 4pm I’m back in the Guildhall to listen to some poetry and Northumbrian pipes with Katrina Porteous and Alice Robinson . I will feel I’ve come full circle, as I visited Barter Books last week and there on a shelf, facing out towards me, was a book by Katrina about Old Seahouses – I just had to buy it. So, as you can see a varied selection… a smorgasbord. And a little of what you fancy does you good.